We were leaving Charlotte County on US 41 last time. You’re about to re-enter Lee County now. From here on, you’re not going to see anymore "nature" on US 41 until you get out of Naples. Then you’ll see nothing but nature until you reach Miami. First you’ll reach North Fort Myers. Take a right onto Pine Island Road and you’ll get to the old J. Colin English School. Like most schools, you’ll have better parking options if you visit on the weekend. Plus you can get pictures of the buildings without all those annoying kids in the way. South on US 41 again, you’ll encounter another big bridge. This one crosses the Caloosahatchee River, whose start you may have seen if you did the Lake Okeechobee circumnavigation. You’ll also be going over the Caloosahatchee National Wildlife Refuge, which is a small island in the middle of the river. You may feel a bit deja vu, because once again you’ll be in a historic district on the other side. But this time you’re in Fort Myers, and the district is a bit smaller. Like Punta Gorda, I’m going to the outer limits to the east first. In fact, so far out you might consider coming from the other direction. I have, via LaBelle once and Arcadia another time. This next several miles will be educational in more ways than one, since you’ll see four old schools. All are still in use, but not all are schools now. We’ll start in Alva. Don’t know if the name of the town has anything to do with one of the most famous winter residents of the area, Thomas Edison. Bit of a coincidence if it didn’t. On the north side of Okeechobee Waterway are the Alva Consolidated Schools. They remind me of the old Clewiston Schools, in that they are two different styled buildings next to each other. Cross the Waterway and visit the Eden Vineyards & Winery. No, not been there yet, but hope to. Next are the Olga School and the Buckingham School, both of which are now community centers. Finally back in the historic district. It’s roughly a square mile, so it’s very walkable. If you can park in the middle, that’s ideal. But if the streets are filled up, you should park at two of the opposite sides, which works almost as well. It seems like most of the buildings here are historic, but they may have building codes set so new construction has to blend in. However they did it, they did it right. The next two locales I’d suggest going to on the weekend, ’cause the road (CR 869) that gets to both is busy, especially during weekday rush hours. 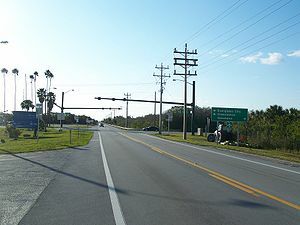 Return to CR 869 and head west to Sanibel. I’d heard about the place, but wasn’t prepared for how wildly popular it was. The downswing in the economy doesn’t seem to have hurt them much, if the massive traffic when I visited is any indication. There’s just one land route, which has a toll bridge. Six dollars later and you’ll be on the island. Time to go to Naples. But along the way is a state park that made me break my 30 minute rule. One of my top ten favorites, Koreshan Unity Settlement Historic District. It was the home of an odd cult (yep, Florida). They’re not around anymore, since celibacy was part of their religion, and they didn’t get that many converts. There’s a shocker. But most of the wooden buildings they constructed remain, after over 100 years. 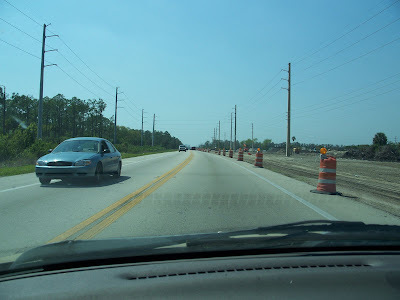 It’s right on US 41, so it’s easy to find and not a diversion at all. There you are, southwest Florida. I shan’t be doing a Naples post for a few weeks, unless there’s a-clamoring. So many places, doncha know. See you on the road! Finally reached the booming metropolis of LaBelle. I say that sarcastically, but it is a nice town, and bigger than I expected. It looks isolated on a map, but it’s not far from Fort Myers, and is the county seat of Hendry County. 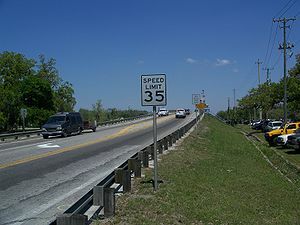 Crossing the Caloosahatchee River bridge (above), I was right at the beginning of the local historic district (photos and street view). I parked and started walking. There was some sort of church party going on at the park there, then realized, of course, ‘cause it’s Easter. Another small district, only a block long (I like those). Just beyond it was the Forrey Building (photos), which looked rather modern and not NRHP at all. There was a restaurant in it and I was hoping I could eat there (theme 3, if anyone’s counting, or is it 2), but it was closed. Back in the car and heading south for my next stop, the Old Hendry County Courthouse (photos). Can I just say I think it’s neat? The tower on one side is so odd, and makes it different from any of the other courthouses I’ve seen. I got shots of it and the local history museum a couple of blocks away. Stopped at Wendy’s for lunch, since I needed something and the Forrey place was closed. Next went to city hall that was about a mile away. Very impressive, very solid. Then it was to the Capt. Francis A. Hendry House. Captain Hendry was the person after whom the county was named, big surprise. I could tell the house had been reno’ed, and a very expert job was done. It looked spiffy. That finished LaBelle. Or so I thought. After I left and was a good many miles away, I was checking my lists, and realized I’d missed one NRHP site, the Caldwell Home Place. Oh, I was peeved to no end. The thought of having to make a special trip back to LaBelle, which really isn’t on the way to anywhere I still need to go. I’ll just have to make it be on the way for some trip. Maybe to Fort Myers, as there’s a few spots I didn’t get to on this trip. Of which, more later. Speaking of Fort Myers, the next leg was a jog almost to there. I was planning to go through it via Naples, but there were some spots on the eastern outskirts that weren’t too far from LaBelle, so I thought I’d hit them up. First was Fort Denaud (photos), not much more than a traffic sign on SR 78. I crossed a bridge over a small canal, then stopped at the local cemetery. Because I have a thing for cemeteries. The historicity of them, doncha know. Didn’t get out, just drove by and snapped a couple. Continuing west, I began the next phase of the schools theme. Three in a row. The Alva Consolidated Schools, Olga School and Buckingham School. The last two are now community centers, but it’s nice to see them all still being used, in whatever capacity. When I got to SR 82, I took a wrong turn. I wondered why I was seeing multi-story buildings, then realized I was headed towards Fort Myers. Not yet! I U-turned and headed east, where I meant to go. And oh goody, construction for miles and miles (above). Just before I got to SR 29 again, I saw Hotel 82. Looks well-kept, but how it stays in business when it seems so isolated, who knows? Not long after I got to Immokalee. The Roberts Ranch (part of a museum) was the only thing I needed, and of course it was closed. Yeah, Easter Sunday. Found out it’s open by appointment only anyway. Got what I could from outside the fence. I could try coming back in future, but I won’t cry if that doesn’t happen. Now was a good stretch of driving. SR 29 is very straight around here. More lush vegetation around, which ain’t a surprise, since I was getting near the Everglades. Then I entered the Florida Panther NWR, and suddenly there were tall fences on both sides of the road. There looked to be culverts here and there too, so panthers could pass under the road. And for the first time in all my travels, I saw signs that had day and night speed limits listed. To reduce the risk of hitting stray panthers, one supposes. Eventually I got past the NWR. I wanted to see Fakahatchee Strand Preserve State Park and Corkscrew Swamp Sanctuary, but too much else to do, so more skipped. Reached I-75, which SR 29 goes over. I like the look of the area, see if you agree (street view). After another 10 or 20 miles I got to US 41. 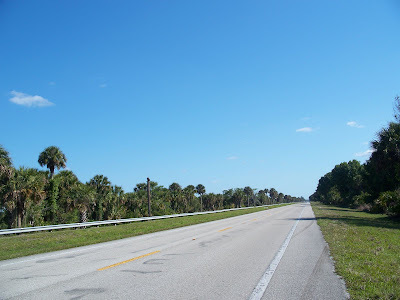 Or as this stretch is better known, the Tamiami Trail. Since it connects Tampa and Miami, doncha know. I’d return to it later, but continued south into Everglades City, which was only 4 miles further. Now this is a place I could see myself revisiting. I don’t know why I like it, but I do. Maybe the small townyness, but not too small. I was a little confused getting around at first, but sorted that out. Found the traffic circle where the old community church was, and the old county courthouse (photos) almost across from it. Quick history. 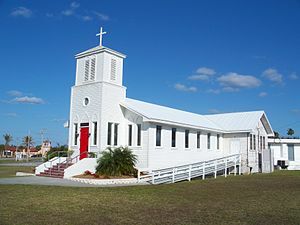 Everglades City was the original county seat for Collier County. Then in the 1960s the seat moved to Naples, most likely because it was larger and not as remote. The original courthouse building still stands though, and now is the city hall (street view). Apparently it got seriously damaged during the 2004 and 2005 hurricane seasons, but it was restored, thank goodness. All the stuff I needed photographs of were on or near the circle. Besides the two previously mentioned were the Bank of Everglades Building (for sale), the old depot (now a restaurant), Everglades Laundry (a local history museum) and the Rod and Gun Club, one of the oldest such clubs in the state. Another 4 miles south was Chokoloskee, on Chokoloskee Island. A veritable mountain in the area, about 20 feet above sea level. Mostly because it’s a giant shell midden. Some mild confusion again, but found the Ted Smallwood Store (photos). Would have been nice to get there earlier, ‘cause the light wasn’t as good as I would’ve liked. But hey, if I ever get back to Everglades City, Chokoloskee’s only a shell’s throw away. The store is another one of those buildings I’m amazed is still standing. That it’s up on high pilings helps, I’d think. Back the way I came, and I’m at the Tamiami Trail in no time. Well, some time. But not much time. Another skip, Monroe Station. It’s too late, and too far east. So it’s west on the Trail, to Naples. I can only imagine what it was like driving between Miami and Naples back in the day. I think Mom and Dad made the trip a few times, though maybe it was on Alligator Alley. Even now, there’s not much of anything, except swamp. And I don’t think the road was in as good condition years ago. Many would consider the area desolate, even though there’s a whole complex ecosystem working all around. There’s a simplicity of purpose to places like this. Maybe it’s the lack of human presence that I find so serene. You can forget about all the complexities of modern life. I think it’s one of the big things that attracts me to the backroads. I reached the Collier-Seminole State Park (photos), which was still open, but not for long, since sunset was soon. The pictures I got weren’t great, but they’ll do. The Bay City Walking Dredge No. 489 impressed me a lot. After leaving the park, it was less than 10 miles before I reached the outskirts of Naples. The backroads part of the trip was over. It’d be big city roads after this. It was about 7, so well time to find somewhere to crash. I wasn’t going to, but I decided to try the Bayfront Inn, pricey place though it looked to be. My luck was good, though, since I got a 3rd floor room for about $100, about $30 less than normal. Probably because it was a Sunday night, and what with the economy and all. The hotel was part of a mall type of complex, so I walked around after checking in and found an Italian restaurant, Portobello Cafe. Which was ironic, since the only portobello dish on the menu was an appetizer. They had the doors open, which was a thrill, since it was definitely toasty and muggy. I toughed it out, and it was so worth it. I got chicken veggie soup and garlic bread to start, and spaghetti and meatballs. Sometimes simple is best, and that was the case here, ‘cause it was all good to very good. The one curious note was that the staff all seemed to be Hispanic, nobody Italian there at all. But hey, considering the results, maybe there should be more like that. Back at the hotel I watched Iron Chef America. It was Morimoto and the secret ingredient was leeks. Mister Iron Chef won, as expected. Mom would’ve like this one, she had grown rather fond of leeks. I had been tired on and off since 2 pm, so a good night’s sleep would do me world of good. Yet I stayed up later than planned doing map and itinerary sorting. Still, went to be bed about 12:30, which wasn’t that awful.